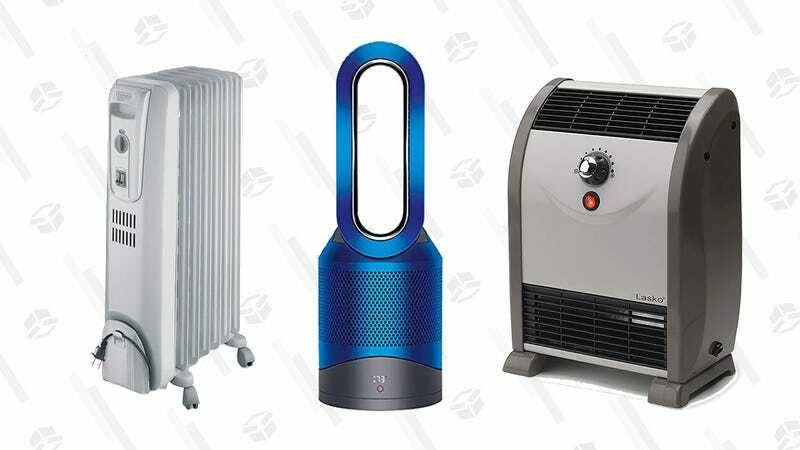 This competition really heated up, but our readers managed to choose their three favorite space heaters. Here they are, coming in hot, and don’t forget to scroll down to give us your hot take in the poll. There are more newer heaters. More tech’d out ones. Ones probably with bluetooth or sensors or 25 separate settings. The Lasko 5812? It’s metal. It’s brown. It’s got ONE dial on it. But you know what it does do? IT. THROWS. HEAT. It throws enough heat to fill a bedroom from the other side of the room and make you get up in the middle of the night to turn it down. And did I mention it’s sturdy as balls? Seriously. Look at that thing. It looks like it was designed by Soviet plant engineers in their spare time. But however the Stalin space heater committee team did it, they got it done. I’ve dropped mine from 10 foot closet heights. I’ve sat on it as an impromptu stool. And I’ve packed it for the winter with really heavy stuff. You know what the net effect was?